Trails are opening faster than you can say dust on the crust at the Salt Lake City-area resorts of Alta, Brighton, Snowbird, and Solitude. And though piles of pristine powder and the ability to ski four resorts in one weekend are reason enough to go, “Ski City” has some noteworthy upgrades for the 2015-16 season. Spiffed-Up Rooms And Killer Views At Snowbird. 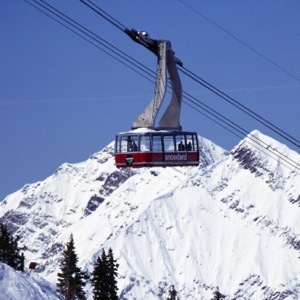 Snowbird Ski and Summer Resort has just completed a $35 million facelift that includes a new Summit Lodge with 360-degree views (replacing the 40-year-old Ski Patrol building and warming hut); makeovers to 350 guest rooms in the Cliff Lodge’s east wing; and increased snowmaking capabilities in Peruvian Gulch, Gad Valley, and Mineral Basin—intended to ensure Snowbird will hold on to its claim of longest ski season in Utah. Time For More Runs At Solitude. 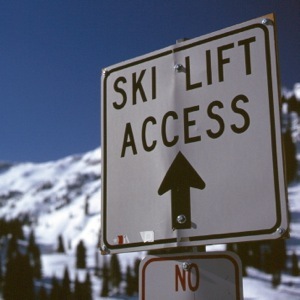 A dozen SLC hotels are offering an extra day of skiing (free) at any of the four resorts when you book a ski package with three nights or more. It’s called the Have a Day on Us package, and it’s valid from November 21 to Apr 23, 2016. And . . . Alta Lodge is rocking its 75th anniversary this year. To celebrate, they’re offering skiers a fun deal from November 29 to December 13: book four nights and the fourth night will be at the 1940 rate. Call 800.707.2582. Perhaps best of all? 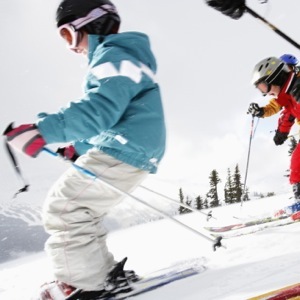 Kids six and under ski free at Solitude this year.